Sheridan maintains several call centres, including the Sheridan switchboard, the IT Service Desk, and contact centres for both full-time studies and continuing education and professional studies. Press the Services/Settings button* on the desktop phone. Cursor down to the Extension Mobility option and press enter. Enter your user id (your network username) using the dial pad. Enter your PIN #: default pin is 12345 – you should change the PIN once you’ve logged in. 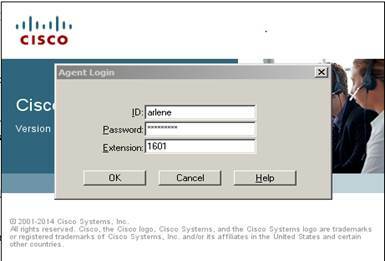 If your workstation does not have the Cisco Agent Desktop client installed you must go to AccessSheridan and download the Cisco Agent Client (found under Software Installations). To request support or report a problem, contact the IT Service Desk at ext. 2150 or send email to servicedesk@sheridancollege.ca.